Much as the Spanish government would like to portray the case against Carles Puigdemont, the former leader of Catalonia, as purely a criminal matter, his arrest in Germany on Sunday on a Spanish warrant has pushed the bitter struggle over Catalan independence into a far broader and distinctly political arena. In response to questions about the arrest, the Spanish government declared that it does not interfere with judicial decisions, and that the Supreme Court is seeking to put Mr. Puigdemont on trial not for his pro-independence ideas, but for rebellion and misappropriation of public funds (that his Catalan regional government used to organize a referendum on independence last October that Madrid ruled unconstitutional). That is not the full story, however, as witnessed by the Catalan crowds that have taken to the streets upon news of Mr. Puigdemont’s arrest. Madrid’s relentless and heavy-handed response to the Catalan independence movement, starting with the riot police deployed to forcefully, and sometimes violently, disrupt the referendum last October and continuing with charges of rebellion (which in Spain means actual use of force and carries a penalty of up to 30 years in prison) against Mr. Puigdemont and 12 other leaders of the independence movement, is hardly the way to win the hearts and minds of the Catalans or the support of other Europeans. So long as Mr. Puigdemont stayed in Belgium, where he took refuge after fleeing Spain, Madrid left him alone. But when he went on the road over the weekend, Spain issued an arrest warrant and tipped off German police, who arrested Mr. Puigdemont as he was driving through northern Germany. That effectively dragged Germany, Europe’s giant, into the fray. Under the European arrest warrant used in the European Union, Germany is required to transfer Mr. Puigdemont to Spain within 60 days. But the warrant requires that the Spanish charges have German equivalents. Misappropriation of public funds does, but “rebellion” is only vaguely similar to “high treason” in the German penal code. That’s a tough one to apply to a democratically elected official who never resorted to force, and the German courts can decide to transfer Mr. Puigdemont on the condition that he not be tried for rebellion. The Spanish government is fully within its rights to defend its unity and its constitution. And European states are right to give the Catalan secessionists no support. 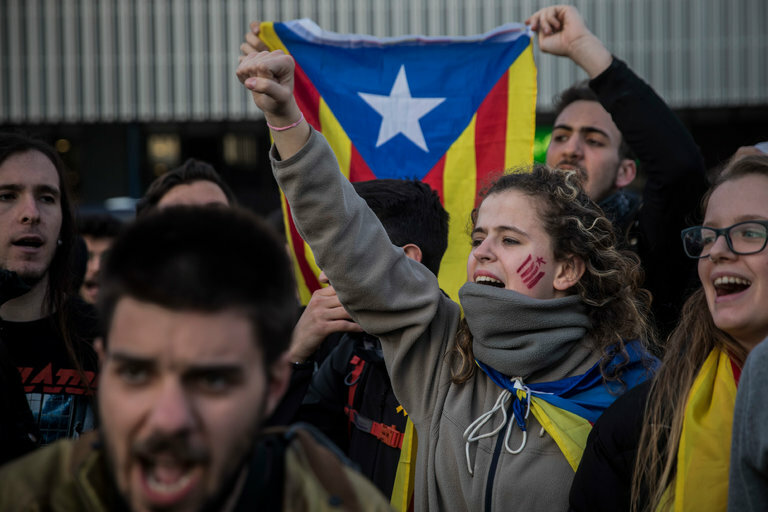 But now that Berlin has been thrust into the dispute, it would do well to tell Madrid that treating the ill-conceived Catalan independence drive as treason gives the movement a moral authority it does not warrant. A conciliatory gesture toward Catalonia would do far more to defuse a confrontation that has gone too far.